Taskmaster (Tony Masters) is a fictional Character in the Marvel Comics universe. The character is primarily a supervillain but is often portrayed as an antihero. The Taskmaster first appeared in Avengers vol.1 (May 1980) and was created by David Michelinie and George Pérez. 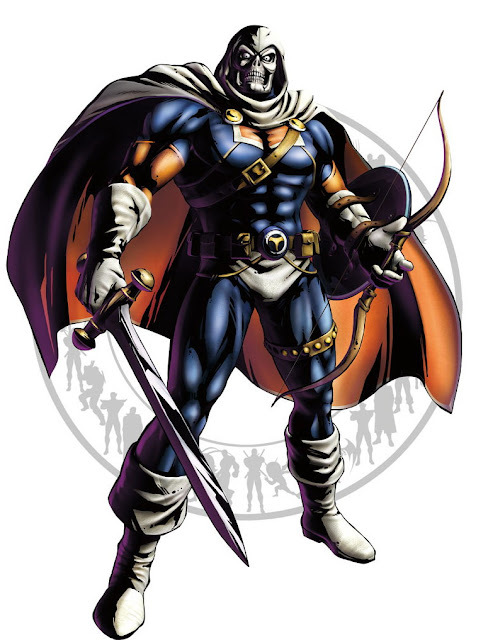 Introduced as an enemy of the Avengers, the Taskmaster went on to feature in numerous Marvel titles, most notably as an enemy/ally of Deadpool - More about Taskmaster (Marvel Comics) Character Review...keep reading !! The Taskmaster is often hired as a training instructor by various criminal organizations, as well as S.H.I.E.L.D. and the U.S. government. In Taskmaster (2011), the character was revealed to be a S.H.I.E.L.D. sleeper agent planted by Nick Fury to gather intelligence in the criminal underworld. 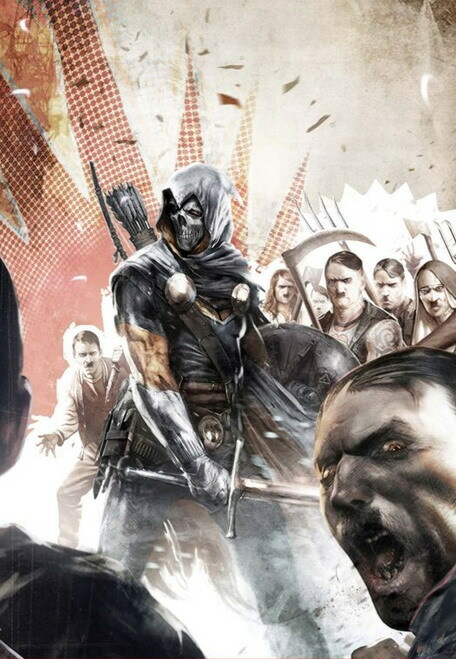 Injecting himself with SS-Hauptsturmführer Horst Gorscht’s primer, an elaborate modification of the adrenal steroid cortisol designed to unlock the mind’s procedural memory potential, the Taskmaster gained the ability to absorb knowledge instantaneously. This ability is linked to his muscle memory allowing the Taskmaster to instantly replicate the physical movement of peak-level humans. 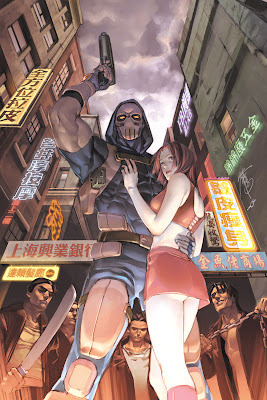 Using these "photographic reflexes," the Taskmaster is highly skilled in various forms of combat, as an exceptional martial artist (mimicking Elektra, Iron Fist, Shang-Chi), a skilled swordsman (Black Knight, Silver Samurai, Swordsman), a deadly accurate marksman (Captain America with a shield, Hawkeye with a bow and arrow, Punisher with firearms, and Bullseye with various projectiles) as well as displaying a strenuously honed athletic ability (Black Panther, Daredevil, Spider-Man). Once the Taskmaster has mastered an opponent's physical movements, he can then predict his opponent's next attack. A side effect of the primer is severe declarative memory loss. The more implicit memories (i.e. knowledge and abilities) he learns, the more explicit memories (i.e. personal experience) he loses. Because of his explicit memory loss, the Org (Mercedes Merced) has acted as Taskmaster's surrogate memory, his banker, and his handler for his entire criminal career. By viewing a video in fast-forward, the Taskmaster can learn to replicate human movement at near-superhuman speed. However, this puts his body under intense strain and can only be used for short periods of time. He also has the ability to manipulate his vocal cords to mimic the voices of others. The Taskmaster was once shown to have aquaphobia (the fear of water) but later overcame his fears..
As he is able to replicate numerous fighting techniques, the Taskmaster carries an extensive arsenal of weapons on his person, most commonly using a sword and a replica of Captain America's shield. He also carries a bow and a quiver of arrows, a billy club, a lasso, nunchaku, throwing darts, and various firearms. The Taskmaster once used a stolen S.H.I.E.L.D. device that was able to create various forms of weaponry (such as arrows and shields) using solid energy.. The Taskmaster appears in Ultimate Spider-Man episode "Why I Hate the Gym", voiced by Clancy Brown. Here he is depicted as a former S.H.I.E.L.D. super agent gone rogue, who carries a grudge against Nick Fury.